Improving your walking skills — technically known as your “gait” — and your balance are interrelated challenges. At FYZICAL Therapy & Balance Centers we help you master these skills to decrease your risk of injury, while at the same time increasing your confidence and independence. 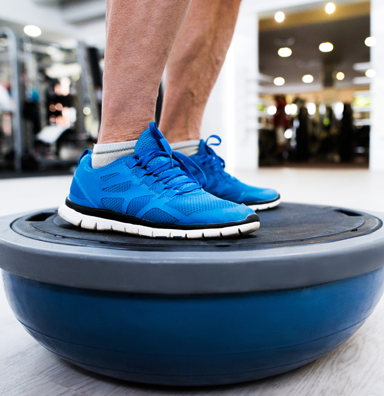 At FYZICAL Therapy & Balance Centers, our therapists realize how important balance and walking is for independent living, as well as for work activities, exercise, sports and enjoying life in general. With our dedicated team of physical therapists behind you, you’ll regain confidence in navigating challenging terrain and learning how to avoid dizzy spells. You may even be able to leave that cane or walker behind! Yes, I would like to receive newsletters from FYZICAL Gainesville & Chiefland.